The legendary Italian luxury sports cars and SUVs manufacturer Automobili Lamborghini S.p.A. also known as Lamborghini was born in the year 1963. Illustrious for offering the pinnacle of comfort and luxury alongside high-speed performance, Lamborghini has witnessed a change of hands many times in the past. Based in Sant'Agata, Bolognese, Italy, the company, since 1998, is a subsidiary of German luxury car marquee Audi, which is a part of Volkswagen Group. Lamborghini was initiated to counter the likes of high-speed Ferrari cars, and today is one of the most reputed names in the high-performance sports car world. In India, Lamborghini cars are imported via CBU route and attract immense popularity among its aficionados for its heart-thumping racing DNA. Lamborghini offers limited car models and variants in India, they are as under. There are few tyre manufacturers that offer tyres for the high-performance Lamborghini cars, which include Pirelli, Yokohama, Falken etc. 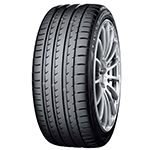 The ideal tyre patterns that are also the best fit for Lamborghini cars comprise of Pirelli P Zero, Pirelli XL P Zero (MO), Yokohama V105, Pirelli R F P Zero (*), Falken Azenis FK453, Pirelli S Veas (B) and others. 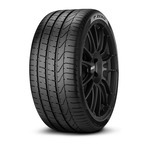 All the high-performance Lamborghini cars above are made available at Tyremerket.com at reasonable prices. 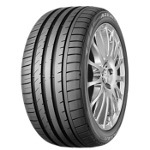 The online tyre buying is easy and hassle-free via Tyremarket.com as it allows you to compare different tyre variants from various international tyre brands, which helps in making an informed buying decision. Each Lamborghini tyre comes with detailed specifications that involve load index, speed rating, manufacturer warranty etc. You can also check the vehicle compatibility and customer reviews to ensure apt transparency.